HSBC is one of the world’s largest banking and financial services organizations. They serve around 38 million customers through four global businesses: Retail Banking and Wealth Management, Commercial Banking, Global Banking and Markets, and Global Private Banking. Their network covers 67 countries and territories in Europe, Asia, the Middle East, Africa, North America and Latin America. 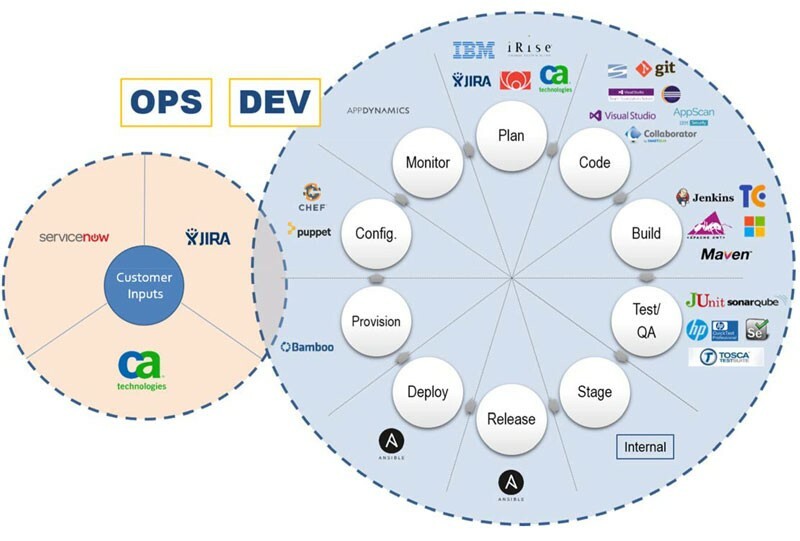 Bringing Teams, Tools and Process Together for Faster Delivery with Quality and Achieve DevOps With too many disparate tools getting used across the globe by different teams for software delivery, the biggest challenge that came in was to bring both the tools and teams together by maintaining the accuracy of the data. They were working hard to balance this but the manual process of doing this was consuming more time and generation of reports using all varied data became more challenging. On the other hand the need for faster time to market with quality also increased. With all these in place, they felt the need for implementing DevOps so that the software delivery could happen faster while making sure that the data shared among all the teams vis-à-vis Operations, Dev, PMs, Quality maintained its integrity. Having all these needs in hand, HSBC started seeking for solutions which could integrate all their tools irrespective of the vendor and technology of the tool. They started their DevOps initiative using Jenkins pipeline but got stuck with the limited integrations that Jenkins provide. HSBC also connected other vendors who provide similar solution, but none of them could satisfy their needs in terms of their variety of tools including their in-house tools. Kovair Omnibus with its 75 integrations and the capability of integrating in-house tools passed their evaluation and acceptance criteria to be the only scalable solution fitting their needs. HSBC procured Kovair Omnibus and has made Kovair an integral part of its DevOps journey. They have a plan of integrating 88 tools getting used across their global teams over a three year period of time. With the plan of onboarding different teams catering to different functionalities of software delivery, they have started with integration between their operation teams, development teams and quality teams. CA GSD, RTC, JIRA Agile, HP ALM.